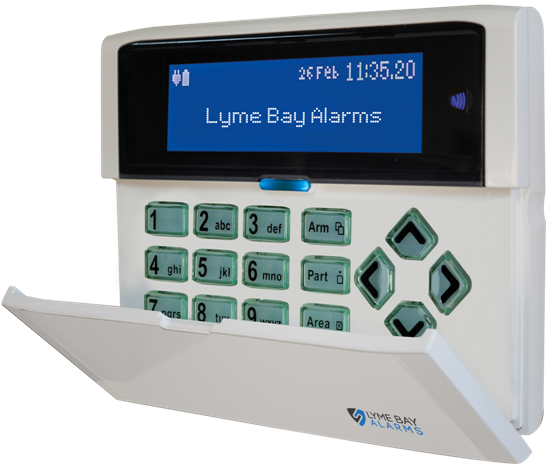 Lyme Bay Alarms have installed intruder alarms throughout many different properties in the South West – and as such can be counted on to have just the right security solutions for you work or home. For those with basic alarm requirements our Audible Alarm Systems range is specifically designed to bring attention to your property in the event of an intrusion. Easily managed they include a control panel as well as assortment of detection and warning devices – which are fitted internally and externally to instantly alert you, your neighbours of a security breach. For enhanced security Lyme Bay Alarms can also install Monitored Alarm Systems that are supervised 24/7 365 days a year by an independent alarm receiving centre (ARC). Our Monitored Alarm Systems allows the appropriate authorities – such as the police or fire services – to be contacted via the ARC to handle the alarm activation in a matter of minutes. The proprietary alarms systems we install are unmatched in the local market. Our solutions are also designed to meet – and in many cases exceed – British and European Standards including BSEN 50131 and all relevant insurance grades. Lyme Bay alarms have extensive experience of all alarms types. So whether your needing wired/wireless alarm systems fitted or upgraded you’re assured our solutions protect you to their full potential. Find out how we can help to make your property as safe as possible. Contact us today.